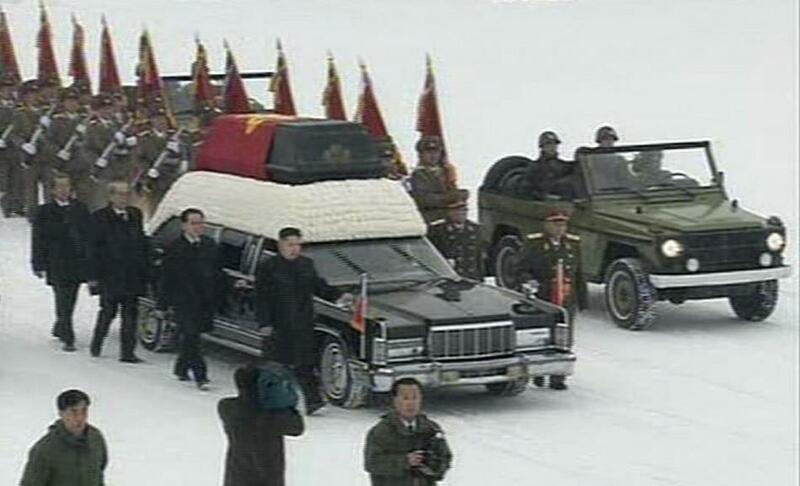 Kim Jong-il's funeral was held in Pyongyang on Wednesday. 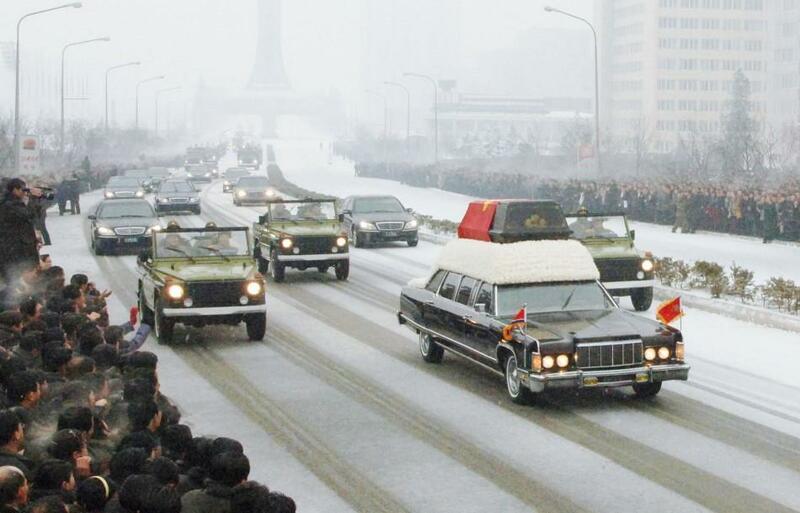 Tens of thousands of people stood on the snowy streets of the capital to watch the funeral procession slowly drive by. 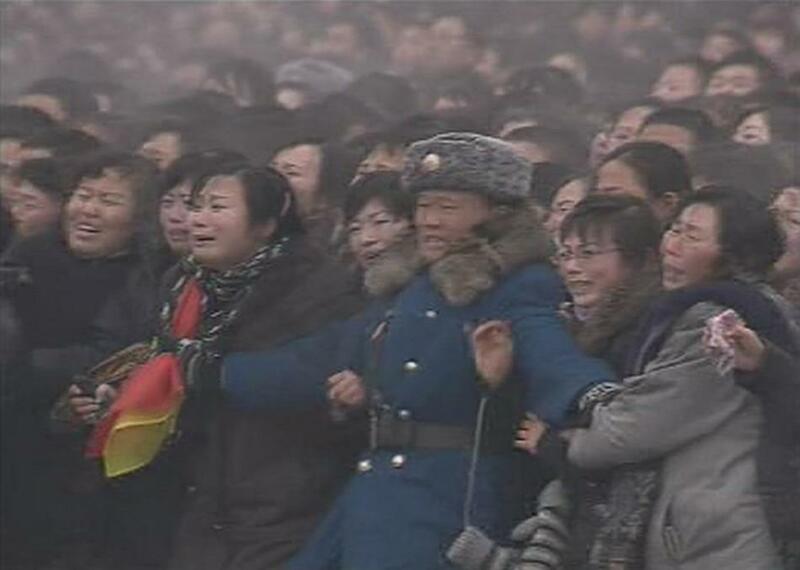 The images broadcast on state television show a populace struck totally by grief; not even military officers were able to control their emotions. 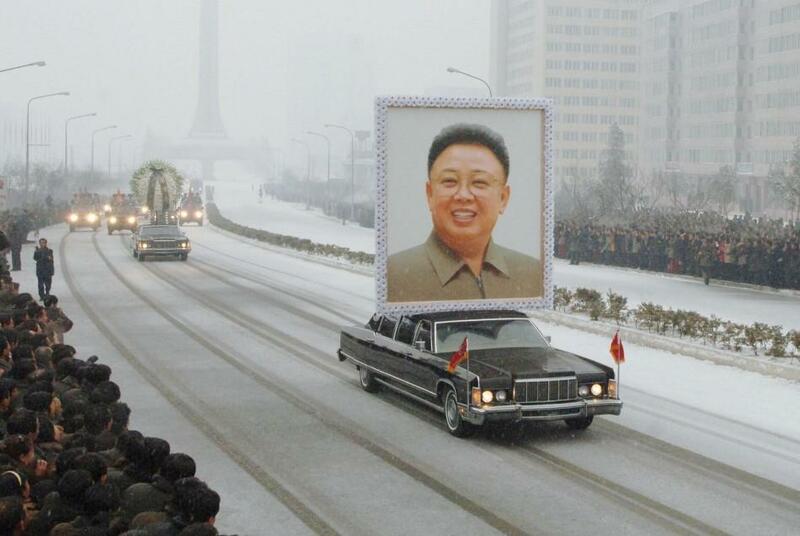 The parade was not just a goodbye for Kim, who ruled North Korea as the Supreme Leader for 17 years, but also a welcome party for his youngest son, Kim Jong-un, who will be taking over for his deceased father. 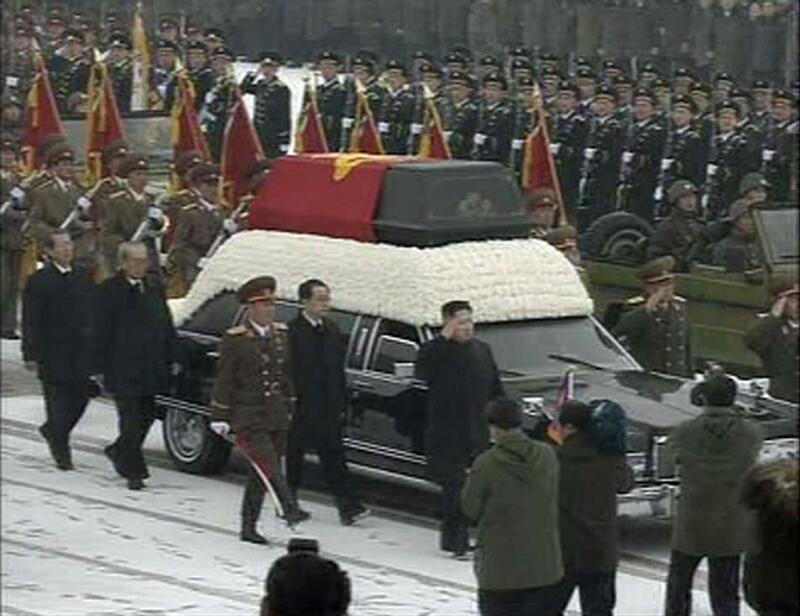 During the two and a half hour funeral, Kim Jong-un walked gravely beside his father's hearse, a step in front of military leaders and top party officials. 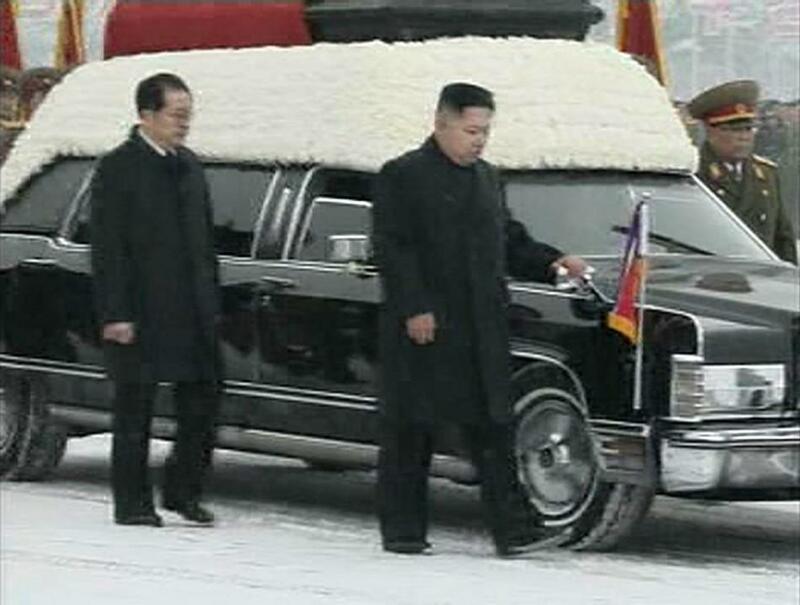 Kim Jong-il's other two sons, Kim Jong Nam and Kim Jong Chol, were not seen at the funeral procession, according to The Associated Press. 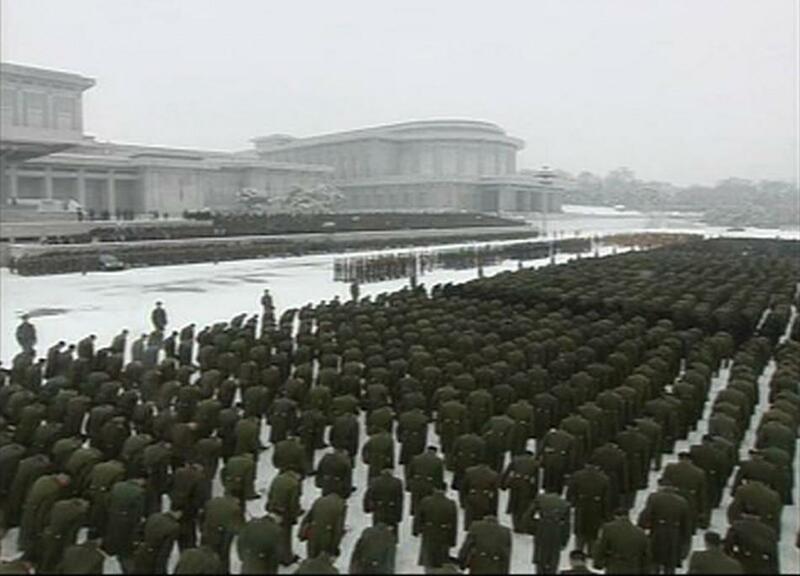 A private ceremony for the nation's political and military elite was also held. The details of the service have not been made public.